​FIFA 19 was the latest instalment of the popular gaming franchise that allows users to play as their favourite players, and subsequently launch their controllers when they concede in the 90th minute, as it brought enjoyment and pain in equal measure. One of the best parts of the game is being able to play with a host of 'icons' that are part of each game, with FIFA 20 likely to be no different. Arguably the greatest goalkeeper to ever play for England, surely there's a space in FIFA 20 for one Gordon Banks. Following his tragic passing, his inclusion into the next game would be a nice touch; giving people who didn't have the fortune of seeing the former ​Leicester City and ​Stoke City shot-stopper play why he's regarded so highly.  On this day in 1977, Liverpool signed Alan Hansen from Partick Thistle for £100,000. If it's a ball-playing centre-back with genuine pace that you're after, then there are few better to have played than Alan Hansen. His time at ​Liverpool between 1977-1991 was awash with silverware, as the talented Scot won eight league titles, three European Cups and two FA Cups in what was the most successful period in the club's history. A more recent addition to the list now, having only retired in 2017, but one that's no less deserving is that of former ​Bayern Munich and Germany full-back Philipp Lahm. The defender, who was equally adept as playing at either right or left-back, was a terrific servant for both club and country, winning eight ​Bundesliga titles - captaining Die Roten to the treble in 2013/14. Lahm also lifted the World Cup in 2014 for Die Mannschaft - earning 113 caps for the national team - and is recognised as one of the best full-backs to ever grace the game. Brazil, on top of the world again. ​​While the likes of Ronaldo, Ronaldinho, Roberto Carlos and Rivaldo were rewarded with cards on FIFA 19, one player that seemed to be missing was right-back Cafu. A World Cup win in 2002 was the pinnacle of his career, having also won two Serie A titles with AS Roma and ​Milan, and the ​Champions League with the latter, so he's certainly a player deserving of an icon card in FIFA 20. The 2007 Ballon d'Or winner was shockingly omitted from FIFA 19, so it would be great to see the Brazil legend back in FIFA 20. A terrific option as a central attacking midfielder, Kaka has everything you want​​ for that position: size, quality on both feet, genuine pace, and the ability to score a sackful of goals when in and around the area. With a World Cup, Champions League, ​Serie A and ​La Liga title also on his resume, few could argue with the former Milan and ​Real Madrid man's inclusion in the next instalment. One of the very few players to actually transcend the world of football and become an established name as a celebrity, it's easy to forget how good of a footballer he actually was. 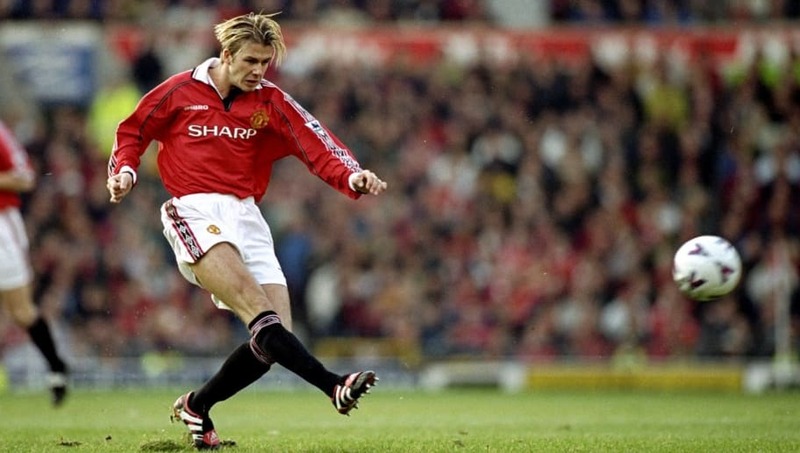 Although his crowning glory was the treble with ​Manchester United in 1999, the former England international also won a further five league titles in England, while winning league titles in Spain, USA and France, and would certainly be an asset to any team, especially those reliant on set-pieces. Barnes was part of the title-winning sides of 1987/88 and 1989/90, winning the Football Writers' Association Footballer of the Year award on both occasions, while winning the PFA Players' Player of the Year award after his first title triumph. The Ivorian became one of the revered strikers in ​Premier League history following his move to ​Chelsea in 2004, winning four league titles over two spells, while scoring an impressive 164 goals during his time at Stamford Bridge.